Or please use the form below to easily send your enquiry online! 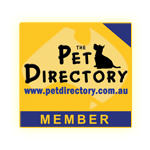 We are pet product manufacturer and wholesaler to the Australian Pet Trade. We sell to pet stores and groomers at low wholesale prices.